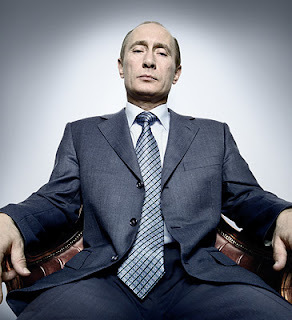 As you may already know, Platon shot Vladimir Putin for Time Magazine, Person of the Year 2007. The Platon crew took a 'little' excursion to Moscow, Russia. Here we would find ourselves for a week, waiting for the 5 minutes that Putin would allow Platon shoot his portrait. Moscow was possibly the most amazing trip and experience we have ever taken as Platon's team, in many ways, good & bad...! We hope to post a more detailed account of Platon's experience in the New Year! OK, so we here at the Nutopia Forum have been slapped with the realisation that this blogging lark is a serious job that shouldn't be taken lightly! As you may have noticed, we have slipped behind in our hope for 'daily' blogs... by three weeks! Now, this is not because our commitment to our cause is flagging, just purely because time management sometimes escapes us! We don't want to hear violins playing... but we hope you understand that running this operation isn't easy! We don't know how aware you are of how our team works, but the whole Nutopia Forum, Magazine and Blog is run from Platon's studio. Therefore we (himself and his staff), are battling between working on his projects, editorials, ad campaigns, traveling and most importantly tea making! While simultaneously trying to keep the Website, Mag and Blog all up to date. If we slip behind, please forgive us, we are trying our best!!! We have to give a huge nod to those guys out there who are on top of their Blogs while having to deal with all their own projects at the same time too! Here's to them, to us and most importantly to you! If you haven't already noticed, Issue 2 of Nutopia Magazine is up! It features work from Sara Macel, Mike McGregor and Mauricio Quintero.